Sunday morning seaside. I seek and find my therapist, my religion, my community service opportunities and my gym there, all just sandy steps beyond the wind sculpted dunes. I went armed with a Sharpie marker this time, intending to write some poetry on the abandoned boat that’s been beached there for quite a while. It had become that, a place for art and messages of every sort, painted, scrawled and carved into its remaining bare bones. But it was gone. Finally removed through some great feat of dragging, heaving and hauling. All that was left was a small blue and jagged piece of the hull, etched with the letters OW. Symbolic of its death for sure, if not also of the pain of its last journey. A bit dissapointed, but at the same time thankful for the beach cleanup, I decided to venture further south. And I found this old juke joint I used to weekend work at. 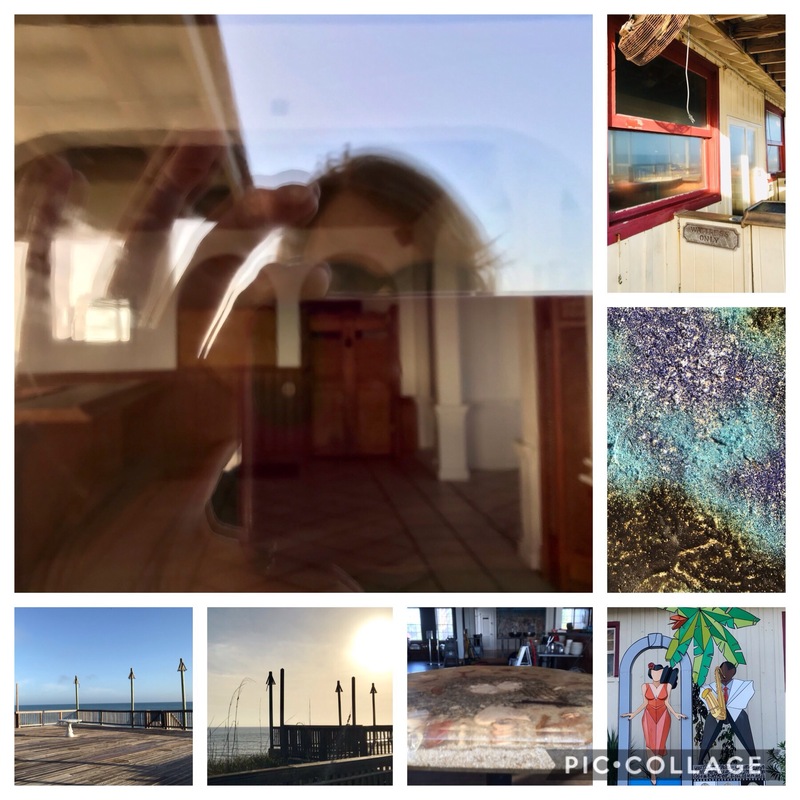 Peering through the permanently ocean fogged windows and strolling past the No Trespassing signs on the deck like the real estate investor I’m not (I had a story ready for law enforcement), I felt a sea breeze of sunny, salty memories of stories and souls. I spent the next few minutes smiling and thankful. I didn’t leave any poetry behind there, nor the memories, for they were all good, the kind you’re glad you rediscovered and want to keep. This entry was posted in life, ocean, poetry, writing and tagged memories. Bookmark the permalink.